This is the second test page for the Rusted comic, and it's posted here since it's used in the Step-by-Step article I wrote. 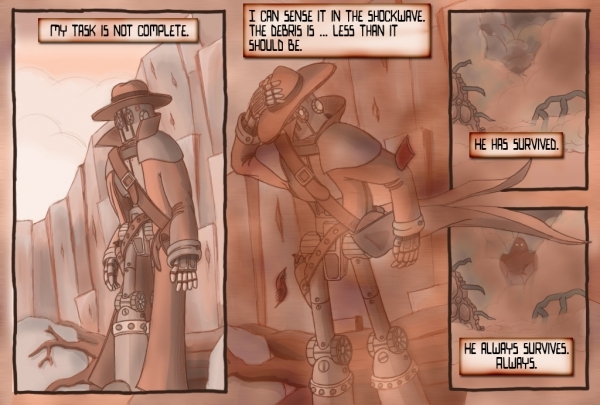 In theory, no other full Rusted pages should be posted here after this. In the future, they will will all reside at their proper site home when it launches. Drawn and colored in Sketchbook Pro, lettered and detailed in Photoshop.